When creating your BYOC Tournament, you might want to have a Quake Champions Deathmatch tournament? 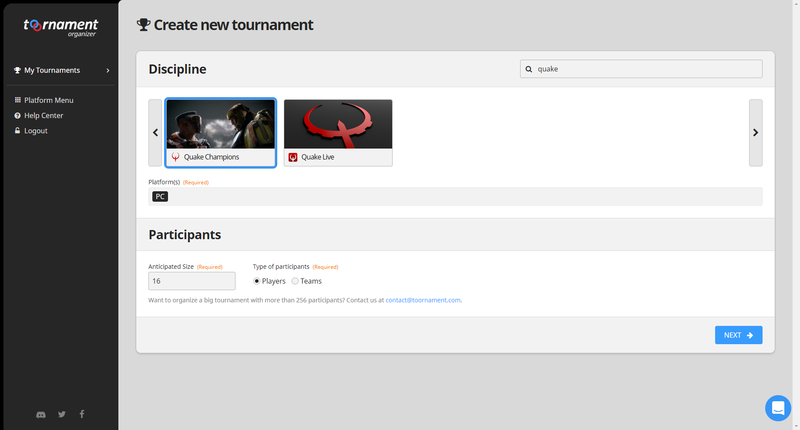 Create a new tournament, and select Quake Champions as discipline. 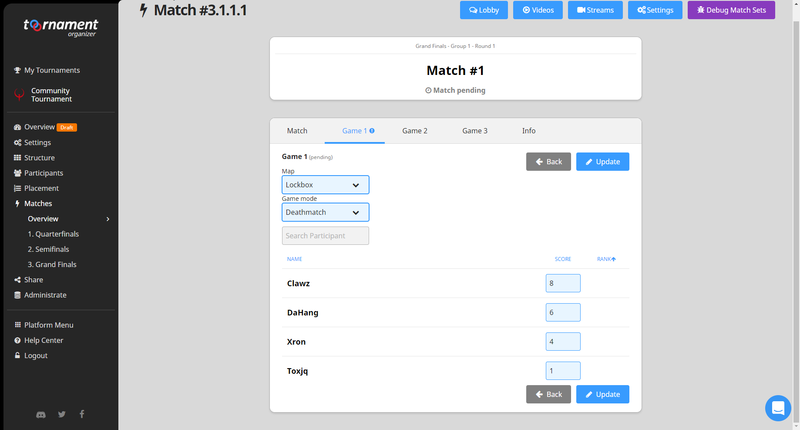 We suggest using a Fixed Sets format, and you may then choose how many games you want to be played in each, and select "Score-based calculations" to only have to enter each player score in each game, and have the system calculate all the rest! 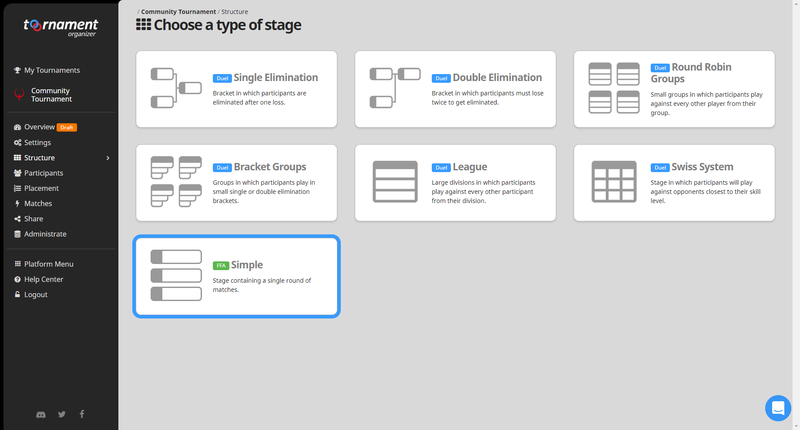 You can create matches of any number of participants, players or teams, thanks to our Simple Stage. Go to the Structure menu and create a new one. Name your stage, set the number of participants and the number of simultaneous matches to be played (we are talking about matches, and not games within a match). At the end of each game, head to the "Matches" -> "Name of your Simple stage" menu and enter the points earned by your participants, because they will not be able to report themselves. 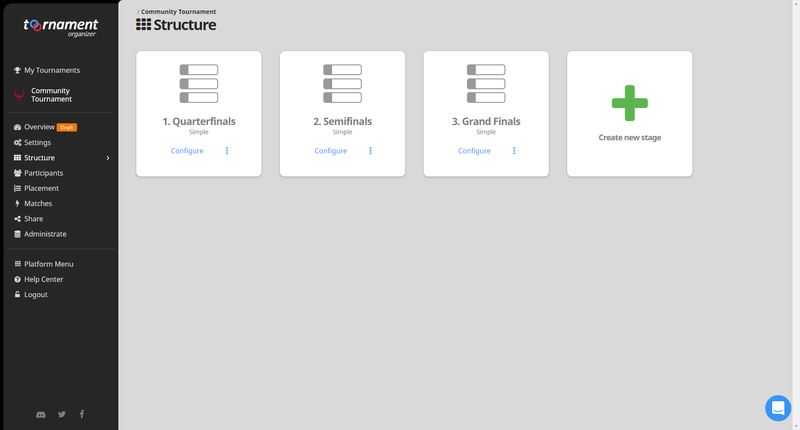 The system will add all scores from games in a match to create a Match ranking, and at the end of a match, you will easily find the participants that should move forward with the tournament, to be placed in the next round, just like you did the first time. Here you go, you have a fully functional and awesome Quake Champions tournament!